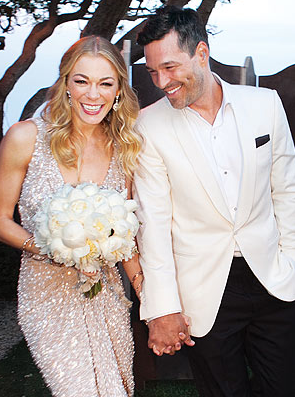 We’ve got the first look at LeAnn Rimes and Eddie Cibrian’s wedding day album. They kept it so under cover, the guests didn’t know ti was their wedding they were attending. I actually thought it was a pretty cool way to do it. Anyhow, this is the first photo released and it shows LeAnn glowing in her handmade Reem Acra gown.